Think it’s enough to write a great character? Think again. If you’re going to write a story worthy of your amazing character, the first thing you have to do is learn how to write character arcs that resonate with your readers and leave them gasping, cheering, or crying. Or all three! 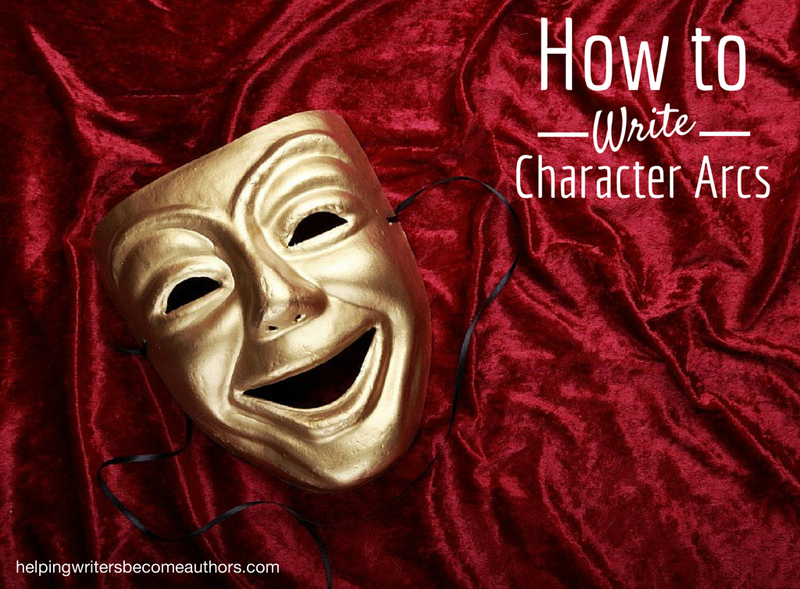 “How to write character arcs?” isn’t just any old question for a writer. It’s one of the questions. Master the tenets of positive change arcs, flat arcs, and negative change arcs, and you’ll be able to write any story with confidence and skill. Figuring out how to write character arcs takes your understanding of story far beyond that of just a character changing over the course the story. It will take you beyond even the all-important foundation of story structure to the core principles of story theory (not familiar with story structure yet? Click here to read this series first). Character evolution is at the heart of any good story. Whether it’s the protagonist doing the changing, or whether he’s changing the world around him, character arcs are ultimately the whole point of fiction. The change–the journey from one spiritual/emotional/intellectual place to another–is the story of humanity. 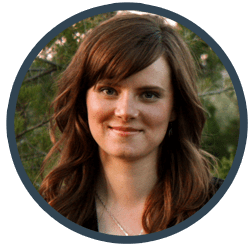 As an author your primary job is learning how those fundamental changes work in real life, and how you can then present them in your fiction with enough realism to connect with your readers. Gaining an understanding of how to write character arcs is a game-changing moment in any author’s pursuit of the craft. Learn how to take your stories from good to great and bring your characters to unforgettable and realistic life! Part 1: Can You Structure Characters? What if there were a surefire secret to creating stunning character arcs? Would you be interested in discovering it? 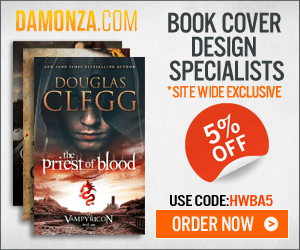 If you care about connecting with readers, grabbing hold of their emotions, and creating stories that will resonate with them on a level deeper than mere entertainment, then the answer has to be a resounding yes! If there’s one solid rule in fiction, it’s that every effect must have a cause. If your character is in need of undergoing a change arc, then one of your first tasks is figuring out why he needs to change. What happened to him to cause him to embrace this obviously damaging Lie? First impressions do count. And your protagonist’s Characteristic Moment is his first chance to impress your readers. In short, a failed Characteristic Moment can very likely mean a failed story. In a story, the Normal World will play an important role in the first quarter of your story—the First Act. This entire segment can basically be summarized as “set-up,” and the Normal World plays a vital role in grounding the story in a concrete setting. Even more important, the Normal World creates the standard against which all the personal and plot changes to come will be measured. On the surface, the First Act seems to be the slowest part of the story—and it often is. It’s just setup, after all, right? True enough, except for that one little word just. It isn’t “just” setup; it’s SETUP! It sets up the plot, but even more importantly, it sets up the character arcs. We might visualize a locked door separating the First Act from the Second Act. The First Plot Point is where the protagonist sticks his key in that door and unlocks it. And, like Pandora’s box, he ain’t never going to get it shut again. In a positive change character arc, your protagonist will have spent the First Half of the Second Act blundering around in foreign territory, making mistakes based on false assumptions, and getting his hand slapped for his every wrong move. But he’s also going to have been slowly—maybe even subconsciously—learning his lesson and figuring things out. These personal revelations are going to lead him up to a very special turning point at the story’s Midpoint. The Second Half of the Second Act is where your character shifts out of the reactive phase (in which the conflict is being controlled by the antagonist) and starts moving into the active phase (in which he starts taking control of the conflict for himself). This low moment—this defeat, which is made all the more crushing because it comes on the heels of a seeming victory—will force the character to stop deceiving himself about the Lie. He can’t evade it anymore. He can’t pretend it away. He has to confront it once and for all—and either destroy it or be destroyed. Character arcs in the Third Act are all about intensity. On the story’s exterior, the conflict is heating up. The protagonist is a runaway train thundering toward what has now become an inevitable confrontation with the antagonistic force. But, on the inside, he’s reeling from the events of the Third Plot Point. The Climax is the reason for the story. This is where the author reveals what the journey the character just endured was really all about—and, in a positive change arc, why that journey has turned out to be worth all the heartaches and trauma. This important ending scene(s) is there to bookend the opening scene. In the beginning of your story, you showed your character living in his Normal World, as shaped by the Lie. In the Resolution, you get to show readers the new Normal World that has been built by the character’s hard-won Truth. Next to the positive change arc, the flat character arc is the most popular storyline. Also called the “testing arc,” the flat arc is about a character who does not change. He already has the Truth figured out in the beginning of the story, and he uses that Truth to help him overcome various external tests. In comparison to a positive change arc, the difference in a flat character arc’s Second Act is that the emphasis is not on the protagonist’s discovering and confronting his own inner misconceptions. Rather, the Second Act in a flat arc is where he will be discovering the Lie embedded in the world around him. The Third Act is where we find arguably the greatest similarities between the flat character arc and the positive change arc, since in both types of story the protagonist will have a full grasp on the Truth by this point. The primary difference, of course, is that the protagonist in a flat character arc will have already been in possession of that Truth almost universally throughout the story. Everybody likes a happy ending, but, let’s face it, not all stories have happy endings. Negative change arcs won’t give readers the warm fuzzies and spawn date-night movie adaptations. But they do have the ability to create stories of unparalleled power and resonance—if they’re true. In a word, the negative character arc is about failure, and this becomes nowhere more clear than in the Third Act. If the positive change arc is about redeeming self and the flat arc is about saving others, then the negative character arc is about destroying self and probably others as well. Q. How Can I Figure Out WHAT My Character’s Arc Should Be? Choosing your character’s arc is every bit as important a decision as choosing the right plot. Get it wrong in the beginning, and, at best, you’ll be facing massive rewrites. Fortunately, picking the perfect character arc for your story requires nothing more than the answers to three questions. Q. Can a Character’s Arc Be a Subplot? Not every story—especially action-oriented stories—will feature huge character arcs that get all kinds of screentime and prominently showcase the Lie, the Truth, and the character’s pit stops in between. These stories are no less credible than those with prominently developed arcs. Q. What is an Impact Character? And Why Does Every Character Arc Need One? When we think of necessary characters, we tend to come up with obvious choices such as the protagonist, the antagonist, and maybe the mentor, love interest, and sidekick. “Impact character” probably isn’t at the top of your list. But it should be. Because you can’t create a character arc without one. Q. Should All My Minor Characters Have Arcs? If your protagonist’s character arc has the ability to deepen your story, then just think how much more depth you can create if all your minor characters have arcs! Dizzying concept, isn’t it? And it raises the (somewhat trepidatious) question: Should all your minor characters have arcs? Q. How Can I Use Rewards and Punishments to Get My Character to Change? How do you make your character change? How do you get him from Point A (the Lie) to Point B (the Truth) in a way that makes sense from the inside out? It’s not enough to put a character though all the proper motions of a change. To make it really work, the character has to feel that change. He has to be personally motivated to change. Q. What if My Story Has No Character Arc? Can you write a story with no character arc? Is that even possible? And, if it is, will the story be doomed to drabness in comparison to those that do feature rich character arcs? Q. How Do I Write Character Arcs in a Series? Up to now, I’ve been addressing character arcs primarily within the structure of a single story, using the important structural moments in a classic Three-Act plot to anchor the timing. But what if your character’s arc spans more than just three acts and one book? For more on writing great characters, download my free e-book Crafting Unforgettable Characters or click here for a full list of all my posts on the subject.